These ribbon wraps are beautiful! Ribbons measure approximately 36 inches and are sewn to a point. 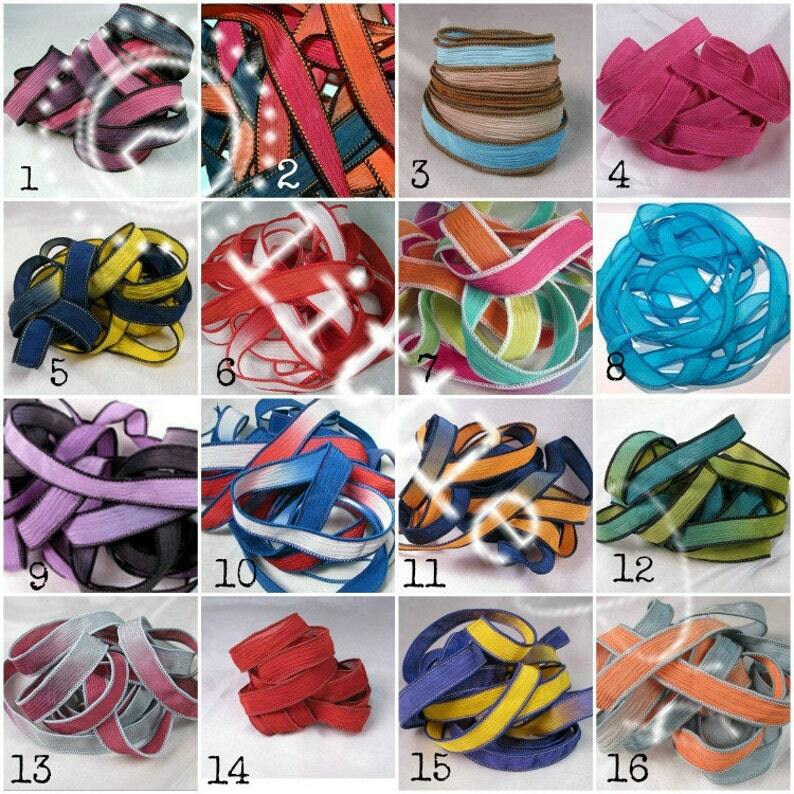 I do not sell in bulk, rather this listing is for add on or replacement ribbons. I take Visa, MasterCard, American Express, Discover Card, PayPal, and Etsy Gift Cards. I want you to LOVE your jewelry. If for some reason you are not happy with your purchase, please contact me within thirty (30) days of the ship date to resolve your issue. Product inquiries will not be accepted after 30 days of the ship date. Please note that I don't accept returns on custom pieces, fingerprint jewelry, or personalized, hand stamped items. Bottom line: I want you to LOVE your jewelry! Many of the items in my shop are made to order. Ship times vary but I normally ship within 7 - 14 days, unless otherwise specified. Please let me know if you have an urgent gift request. I will be happy to accommodate, if possible. However, please inquire during holiday seasons just to be sure. There may be additional shipping charges to expedite shipping. In the event of very high-order volumes, orders may take up to 14 days. I will email you to notify you of the delay. I will also send an email confirmation when I ship. I specialize in custom work and will gladly work with you to get the perfect piece of jewelry for your needs. 2 little P's ships Internationally (See shipping policy) We offer wholesale prices to select vendors.